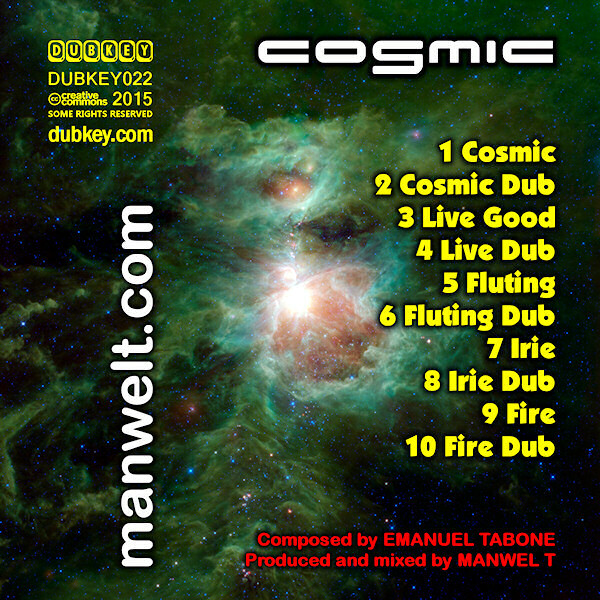 After eight years of dub remixing, in the summer of 2014 Manwel T started learning music theory. ‘Cosmic’ is his debut album as musician and songwriter. This showcase album (five reggae instrumentals followed by their dub versions) features several catchy melodies on top of heavy vintage-sounding roots rhythms. Most of the tunes are positive, sunny, mid-tempo steppers (no doom and gloom sounds on this set), with crisp horns throughout. The livelier ‘Fire’ ends proceedings with a bang! A very entertaining album which should appeal to all lovers of authentic roots reggae and dub! They don’t make them like this anymore!